Scissors Play and Painting Flying Winter Birds. New York: Graham & Matlack, 1912. ￥8,000 (税込み) 26.5 x 21.5 cm. 6 leaves. Chromolithographic wrappers. 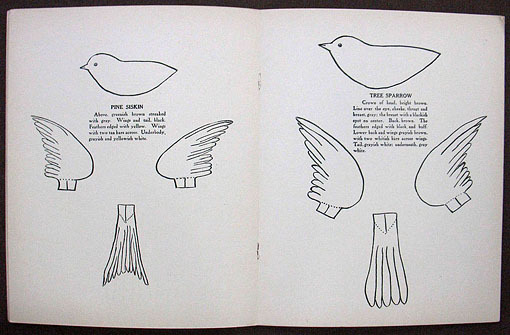 6 pages of birds for reader to cut, paint, and make three dimensional birds.